When Wining is APPropriate – the New Delius Restaurant Wine App | ASTRALCOM - Content Strategy, Conversion Marketing and Customer Acquisition. 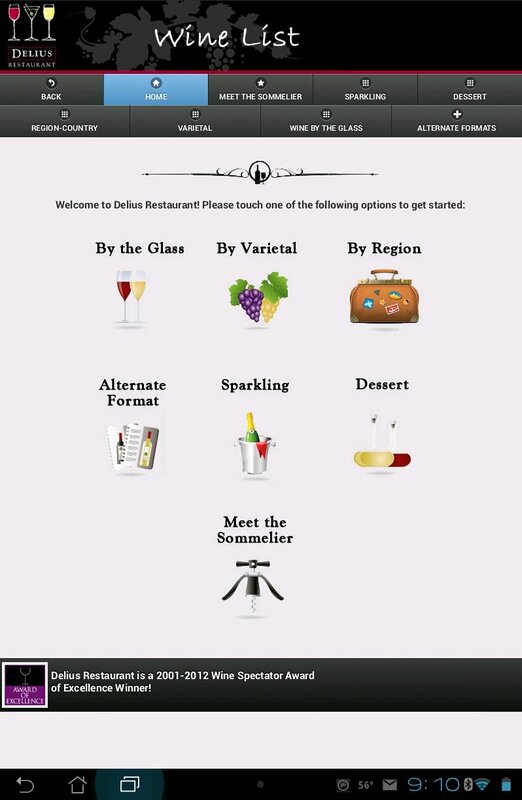 ASTRALCOM, LLC today announced the launch and availability of the Delius Restaurant e-Wine List on Tablets. Since 1977, Delius Restaurant has been considered as one of the premiere restaurants in the Signal Hill and Long Beach area. 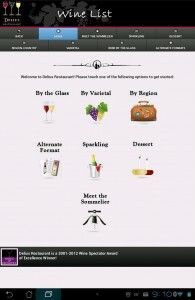 Adding the tablet-based wine list is a natural extension to the dining experience at Delius. “The Delius e-Wine List on tablets is a comprehensive, digital wine list provided to diners on a sleek Asus Transformer tablet computer. The wine list includes foreign and domestic wines, presented in an easy-to-use format which provides the diner with a wide array of wine choices to compliment every meal at Delius,” stated Richard Bergér, VP of E-Business at ASTRALCOM, the company that developed the e-Wine List, specifically for Delius Restaurant. “Working with ASTRALCOM to create the e-Wine List was important to me, because at every step of the project they made me feel that my vision was the top priority. Their creative contributions met and, in most cases, exceeded my expectations. I wanted to create a wine list that engaged and educated diners and ASTRALCOM clearly delivered,” stated Dave Solzman, Wine Director and Co-Owner of Delius Restaurant. If you want to engage and inspire your customers to greater purchases; just contact us and we’ll be happy to explore ideas with you.